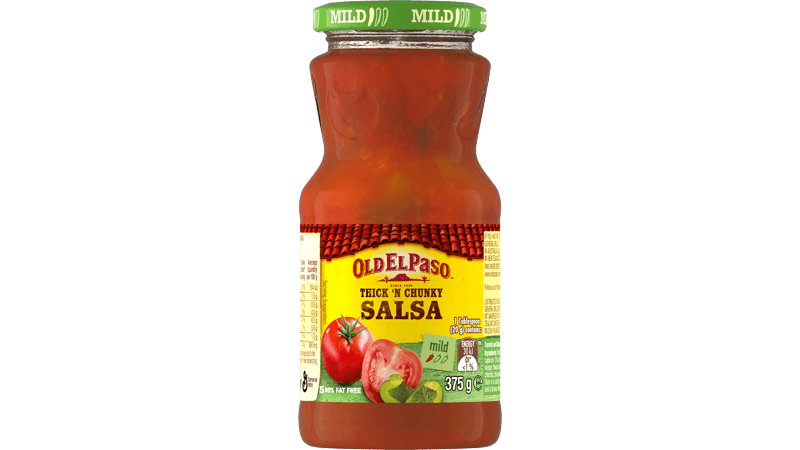 This Old El Paso™ recipe makes 10 Soft Tacos with Chicken Albondigas (or Meatballs) and Fresh Green Salsa. 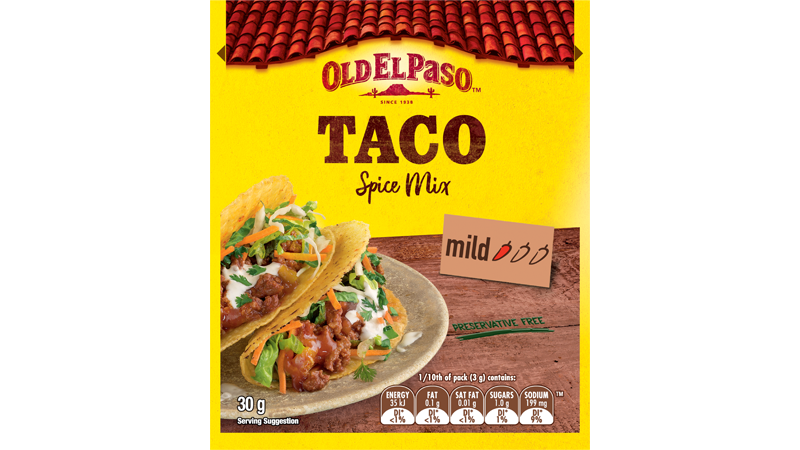 The meal calls for our Taco Spice Mix, Mini Tortillas and Thick ‘n Chunky Salsa. 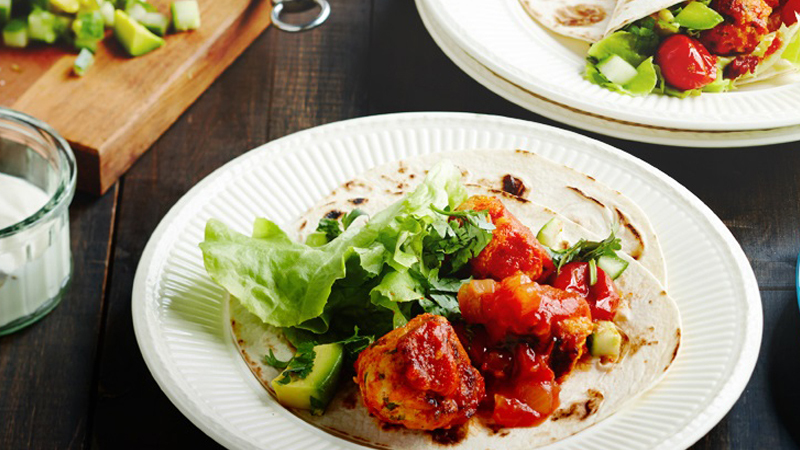 The meatballs are cooked in a rich sauce with tomatoes, wrapped in a warm Tortilla and topped with fresh ingredients like avocado, cucumber and coriander. This meal has a great flavour and is perfect for a Mexican lunch or dinner. Combine chicken, carrot, coriander and Taco Spice Mix in a bowl. Take heaped tablespoons of mixture and roll into 30 meatballs. Heat a little oil in a frying pan and brown meatballs. Add tomatoes to pan and simmer gently for 10 minutes or until meatballs are cooked. 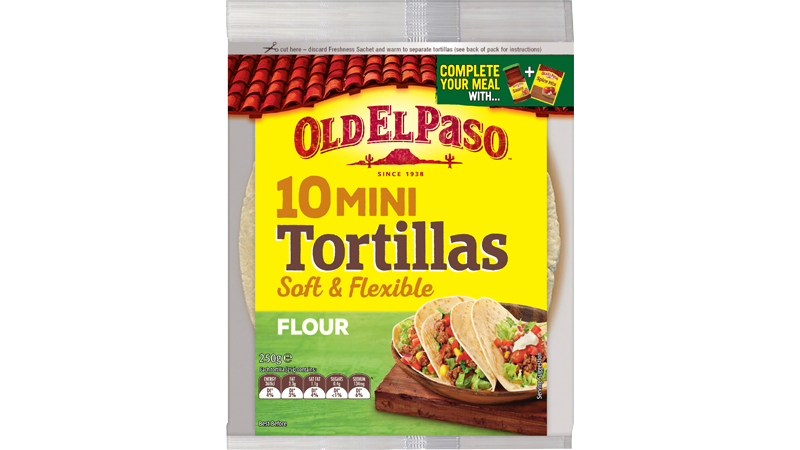 For deliciously toasted Tortillas heat a non-stick frying pan over a medium heat and brown each Tortilla for 10 seconds on one side only. Wrap in a tea towel until ready to serve. In a small bowl, roughly chop avocado and mix with cucumber, extra coriander and lime juice to make a fresh green salsa. Serve toasted Tortillas with meatballs, avocado mash and salsa to the table and build your own Soft Taco any way you like!